Fashion is no more limited to ramps and runways. You don’t need a million dollars to be stylish, trendy and feel good every day. Fashion need not necessarily be defined by fashion designers only. We know you are a fashionista with your own mesmerizing style statement. 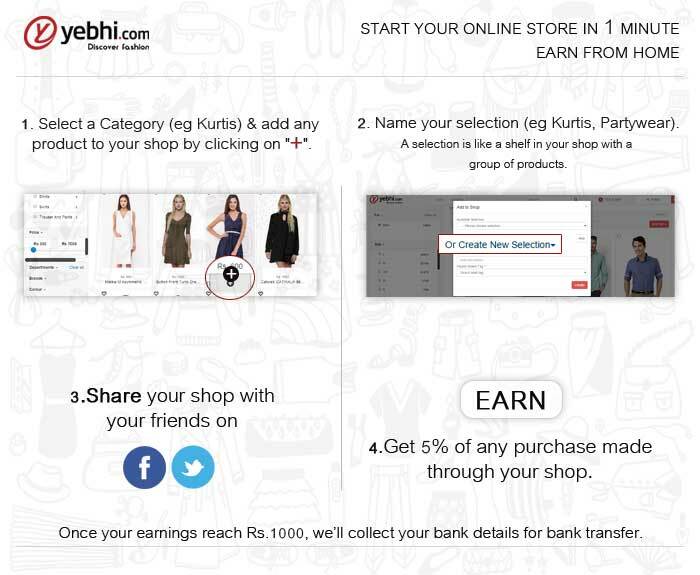 Yebhi.com offers a diverse platform for all your fashion needs, be it apparels, footwear or accessories, we have it all from all across online fashion marketplaces. A nice pair of shoes completes your look and also grabs the attention of everyone around you. Footwear is the need today. You can’t opt for footwear which makes you uncomfortable. No look is complete without a nice pair of footwear making you comfortable enough to carry your attire and look. A stylish pair of footwear can make many a heads turn. Earlier, people did not spend much on pair of shoes, but with time and changing lifestyles, it's a must have to own a collection of footwear, suiting different occasions. Yebhi.com is your online destination for the highly vibrant, stylish and lavish collection of women heels shoes in India. Select as per your style, season and occasion from the lovely pairs of stilettos, pumps, peep toes, platforms, wedges and several other styles. With all premium brand featuring in our heels online collection, we promise you the best and the most gratifying shoe shopping experience ever and all within the comforts of your home. Complimenting your style trends, we bring Pinq Chiq Collection Purple Stilettos (Violet) to enhance your footwear collection. Pinq Chiq Collection Purple Stilettos (Violet) is a modern Stilettos which can be worn on Stilettos occasions. This smart Stilettos is available with online store <a href=‘http://www.yebhi.com/’> yebhi.com</a> designed by fashion house/fashion designer Pinq Chiq Collection. The delivery of this product will be free of shipping charges or at minimal charges of shipping charges. The Pinq Chiq Collection Purple Stilettos (Violet) is available in various sizes .The violet will redefine your look making it smart and trendy, yet again. The product Pinq Chiq Collection Purple Stilettos (Violet) is available at the affordable price of 800 on an amazing/eye popping discount of % thus making it light on your pocket too. What’s more! On purchase of Pinq Chiq Collection Purple Stilettos (Violet) your Yebhi account will be credited with yCoins which you may use for further shopping with us. Use these coins to buy vouchers and exciting deals. This cashback is over and above the discount you will get at the seller’s store, and will be credited to your Yebhi account after your order delivered. This Stilettos will give a contemporary look and will add a ultra-modern style statement to your footwear collection. While in the market, the branded Stilettos of Pinq Chiq Collection starts at 799whereas Pinq Chiq Collection Purple Stilettos (Violet) is available at such a low price of 800 on Yebhi.com only. Shop now and make this product to flaunt your exclusive good taste in fashion.